Prince John is coming to Nottingham! Players, in the role of merchants, see this as an opportunity to make quick profits by selling goods in the bustling city during the Prince's visit. 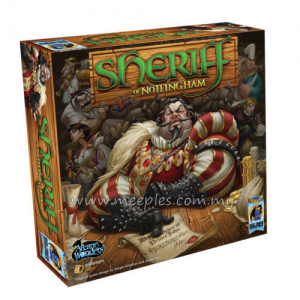 However, players must first get their goods through the city gate, which is under the watch of the Sheriff of Nottingham. Should you play it safe with legal goods and make a profit, or risk it all by sneaking in illicit goods? Be mindful, though, as the Sheriff always has his eyes out for liars and tricksters and if he catches one, he very well may confiscate those goods for himself! Do you have what it takes to be seen as an honest merchant? Will you make a deal with the Sheriff to let you in? 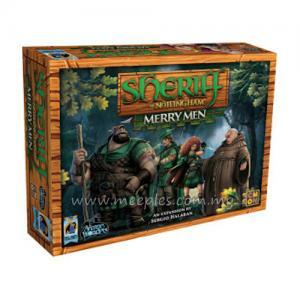 Or will you persuade the Sheriff to target another player while you quietly slip by the gate? 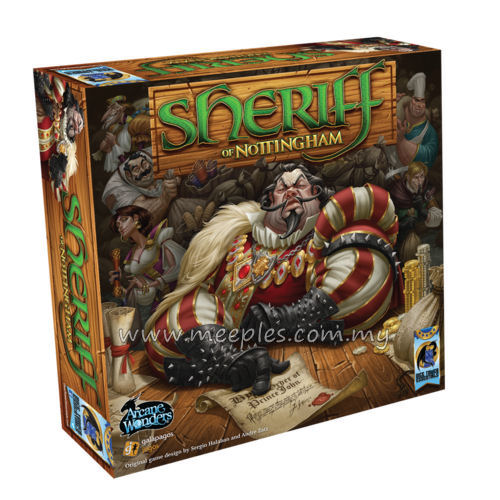 Declare your goods, negotiate deals, and be on the lookout for the Sheriff of Nottingham!